Who wants some yummy, delectable brownies to start the week off right? I found these decadent little gems in the First for Women magazine when checking out at Market Street. I like perusing that particular magazine when I get in the checkout line, and couldn’t believe it when they had a 24-page spread about Paleo! Of course, they reel you in with Paleo sweets, but there were a ton of recipes for breakfast, lunch and dinner, and they even included a two-page spread on Paleo substitutions. I’ll give it to mainstream media; Paleo is getting more publicity (good and bad) which helps to get the word out. It may not work for everyone but I’m a big fan of the way I feel when I eat this way, so I’ll keep sharing the Paleo love. I had been eyeing these little treats for a while and decided to bite the bullet and make them. I never know when I’ll be inspired to cook/bake…it usually takes place after our late breakfast. So, after whipping them up, and sending some to work with Josh, I received feedback that I could bake for his co-workers anytime I like (I had sent them Paleo banana bread muffins earlier that week). 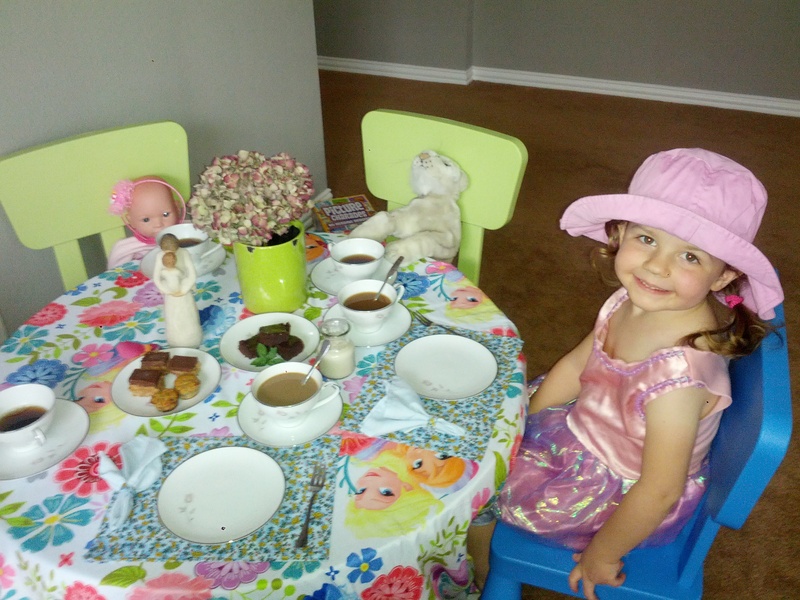 PS: These treats are perfect for a ‘Paleo tea party’ with your favorite princess companion! 1. Heat oven to 350°F. Grease and line an 8×8″ square baking pan with parchment paper; set aside. 2. In a food processor, puree eggs and vanilla for 1 minute or until mixture is light and frothy. Add dates, ½ cup melted coconut oil and 1/3 cup maple syrup. Process for 2 minutes or until dates are pureed. 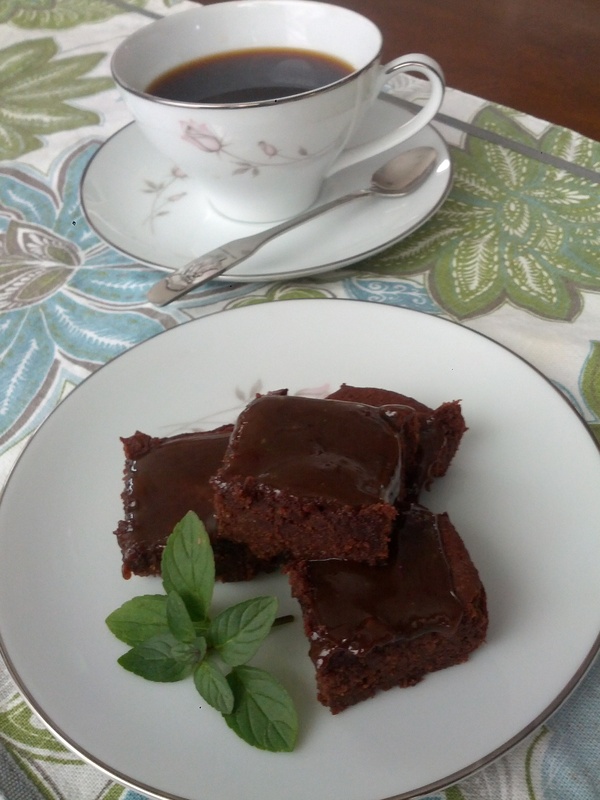 Pulse in almond flour, ½ cup cocoa powder and espresso. Transfer batter to prepared pan. Bake for 15 minutes or until done. Let cool. 4. In bowl, whisk remaining coconut oil, cocoa powder and maple syrup until smooth and mixture resembles fudge sauce. Drizzle maple-cocoa mixture over caramel sauce. 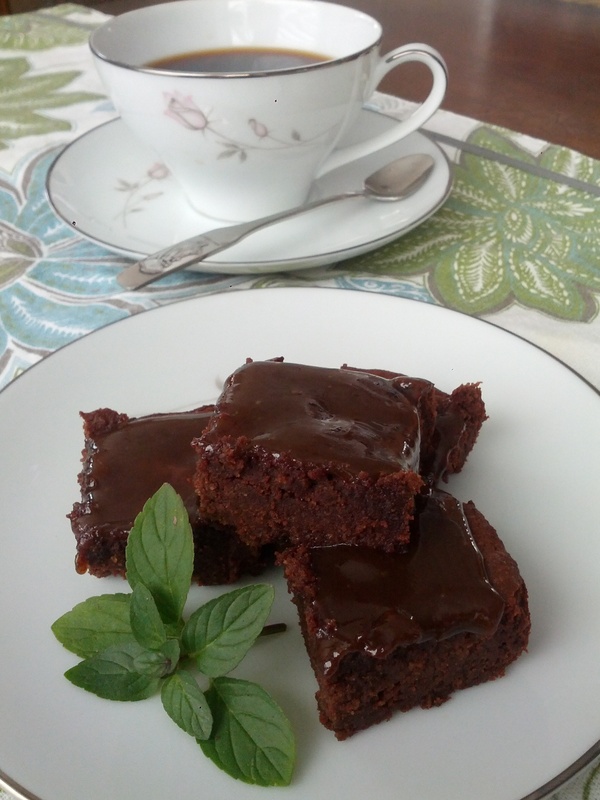 Cut brownies in squares and serve. Enjoy! 1. In saucepan over medium-high heat, bring coconut cream, coconut sugar and maple syrup to a boil. Reduce heat; let simmer 10 minutes. Remove from heat; let sit for 5 minutes. 2. Stir in coconut oil (or butter) and a pinch of salt. Chill or let sit until desired firmness. Wow, this recipe sounds so delicious and I must say, your photos are just awesome, I think I have to try it. Thanks for sharing. Just found this! You had me at caramel-coffee! They look GORGEOUS :D! I love your blog, your posts are amazing! I just followed, it would be great if we can support each other 🙂 I can’t wait to read more.